Long slim and beautiful. A pegasus hilt creates a wide cross hilt. 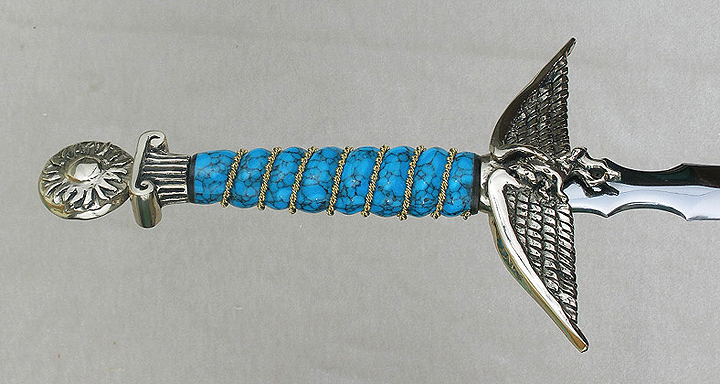 The handle is slim and carved from our special gemstone turquoise then inlaid with a bronze wire twist. The blade is a thin 12" stiletto made of high carbon steel. Interested in Pegasus Knife (Turquoise)? Take a look at a similar item.